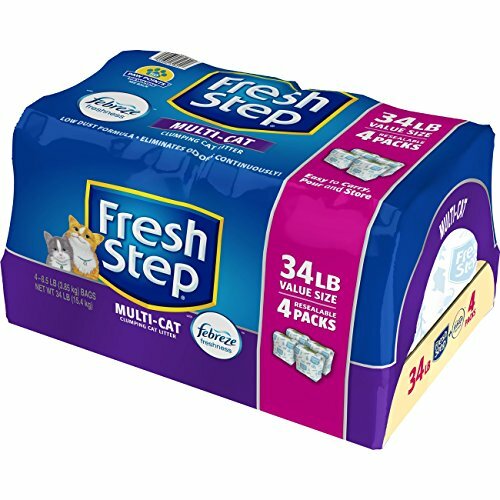 Check out this HOT deal on this Fresh Step Multi-Cat Scented Litter with the Power of Febreze, Clumping Cat Litter, 34 Pounds, Resealable 4 Packs – 31601 Priced at only $12.25 was $24.79. That’s only $3.06 per BIG 8.5-pound resealable pack. Ships Free with Amazon Prime!